Is Detroit the next Atlanta? 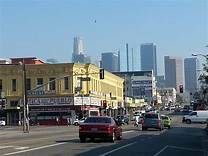 A recent analysis by Bloomberg ranked large cities with at least 250,000 residents according to the distribution of household income among individuals to see which has the worst income inequality. From being number two in three consecutive years, Atlanta took the top spot this year, surpassing the two-year number one Miami. 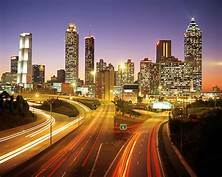 Atlanta, one of the largest metropolitan areas in the country, is a home to many Fortune 500 companies such as Coca-Cola and Delta. Despite that, the income gap has been widened by the number of low-wage retail and hospitality jobs. About one out of four of its residents are low-income, the U.S. Census Bureau reports. Moreover, affordable housing seems to be lacking in the area as luxury apartment buildings with expensive rents replaced what used to be Black neighborhoods. About 22% of renters in Atlanta proper’s Fulton County received eviction notices in 2015, resulting in a “crisis” as the Federal Reserve Bank of Atlanta calls it. The income gap is very well seen between whites and Blacks. While white residents of Atlanta make $80,000 yearly, Blacks in the city only make $30,000. Even worse, 80% of African-American children in Atlanta live in high-poverty neighborhoods compared to only 6% in their white peers. Because of the lack of affordable housing, wage inequity, and poverty rates, there were higher crime rates, lower educational outcomes, and Black residents were forced to leave. As a matter of fact, the city’s Black population dropped from 61 percent to 53 percent, while White residents in the city rose from 33 percent to 40 percent from 2000 to 2015.